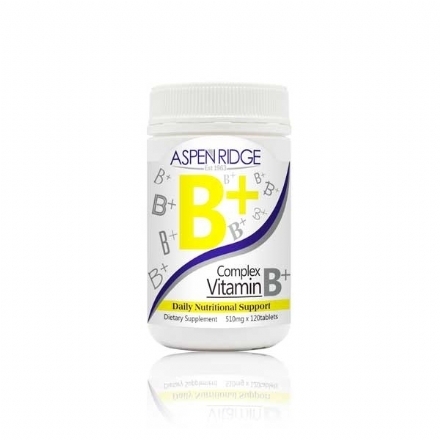 Aspen Ridge Complex Vitamin B is suitable for Men, Women and mature health needs. 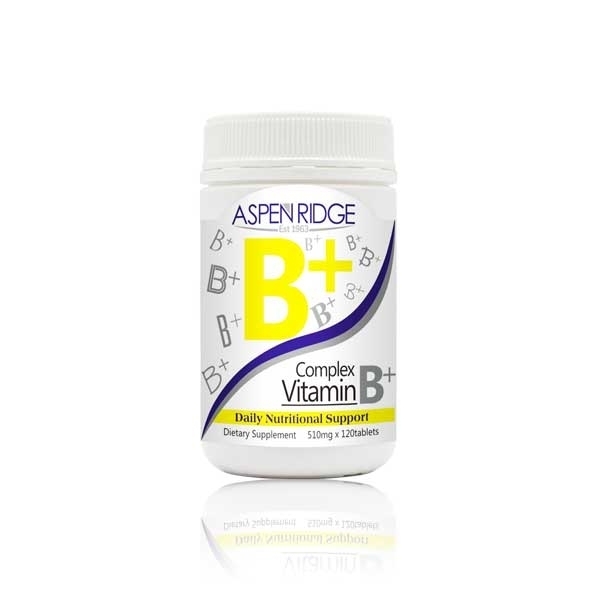 Complex Vitamin B is designed to be taken during the day and can help your body fight fatigue and even support sleep at night as well as focus, mood and mental clarity. Complex Vitamin B supports balanced cortisol levels, therefore supporting healthy adrenal health. 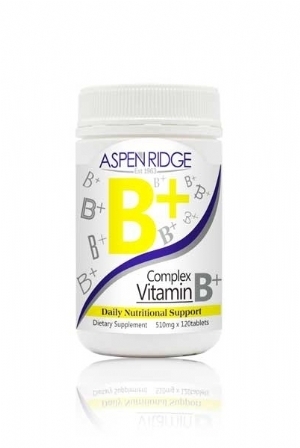 Complex Vitamin B supports efficient cell metabolism, healthy brain function and nervous system. It may support the renewal of red blood cells and optimal immune system function, while supporting a healthy cardiovascular system, circulation and cholesterol levels. Complex Vitamin B ensures the food you consume is sufficiently converted to energy and may increase healthy muscle tone. It may also contribute to a glowing complexion and stronger hair fibres for healthier skin and hair. Adults take 1 - 2 tablets daily with food. If chronic fatigue persists, consult your healthcare professional.